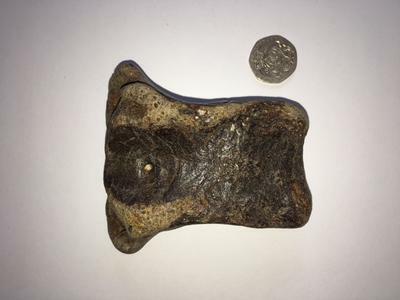 I found this fossil on the North Norfolk Coast(England) a few years ago. I've been using it as a paper weight and often wondered what it actually was? The coin is 22MM (7/8") in diameter. This looks like it could be a vertebrea of some kind. Th Norfolk area is know for fossils of Cretaceous invertebrates and ice age mammals. 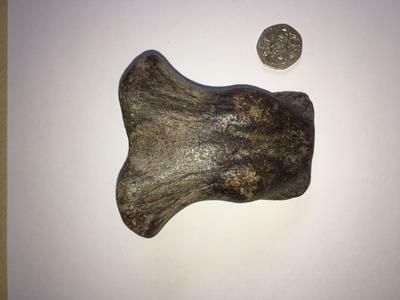 My guess is it is a mammal vertebrea.